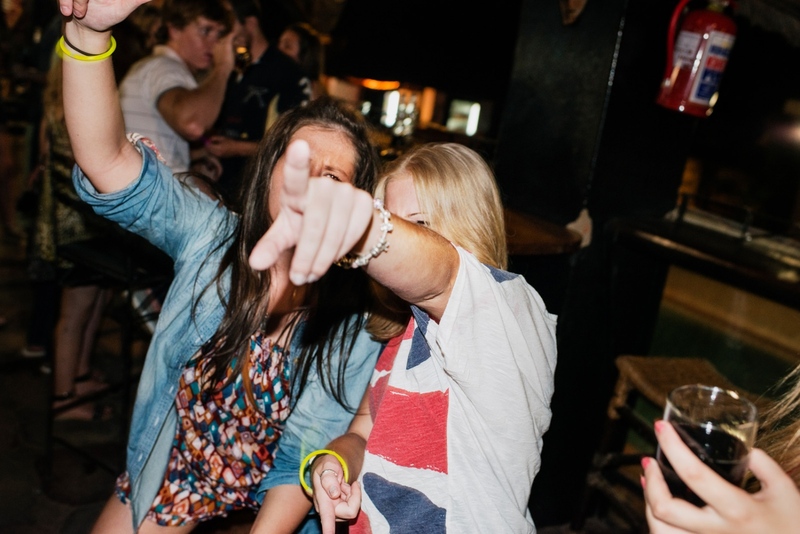 “It's exactly like going to Magaluf, except you hug kids for a couple of hours out of your day” - a former volunteer. 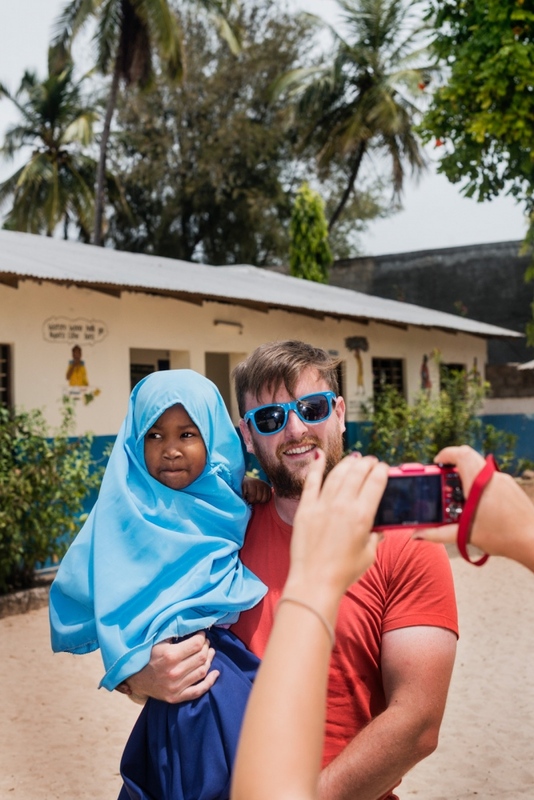 Volunteering is the new backpacking. It is a booming business with slogans like ”travel to make a difference”. But some of these arranged volunteering trips establish a ”we and them” thinking that can increase the social, cultural and economical gap rather than decrease it. This gets even more evident when the often wealthy volunteers — a volunteering trip often costs several years of annual income in the country of visit — stays in guarded compounds, sometimes with their own chef and maid. As volunteering has become more of a business, many companies care more about profits than actual change. 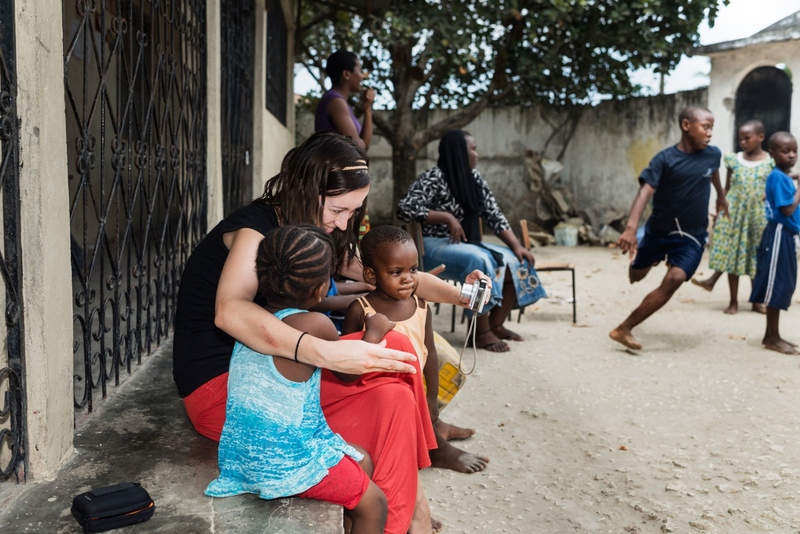 At orphanages, children often need long and stable relationships, but a two week visit by volunteers may result in the opposite. 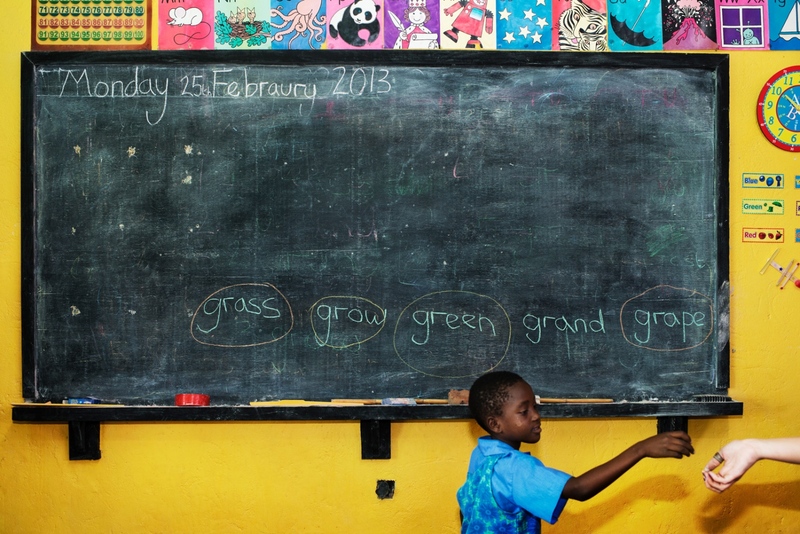 In a school on Zanzibar, to feel more included, volunteers were in charge of the English curriculum. This resulted in a new curriculum every two weeks, denying the children a long term education plan. 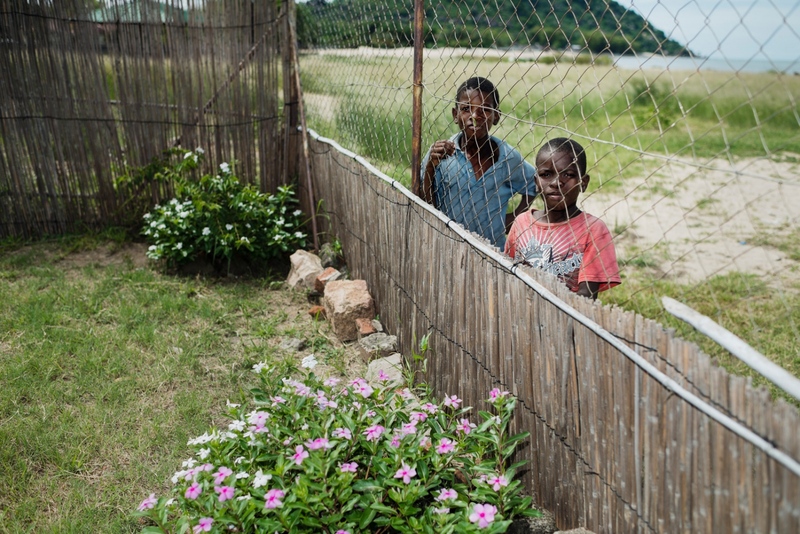 The ongoing photography based research project Voluntourism aims to challenge visual stereotypes by holding up a mirror on how we (including photojournalists) represent ”the other”. It questions the contrast in behaviour by westerners towards children in Europe and children of other continents and hope to encourage reflection and sustainable solutions for volunteer work. 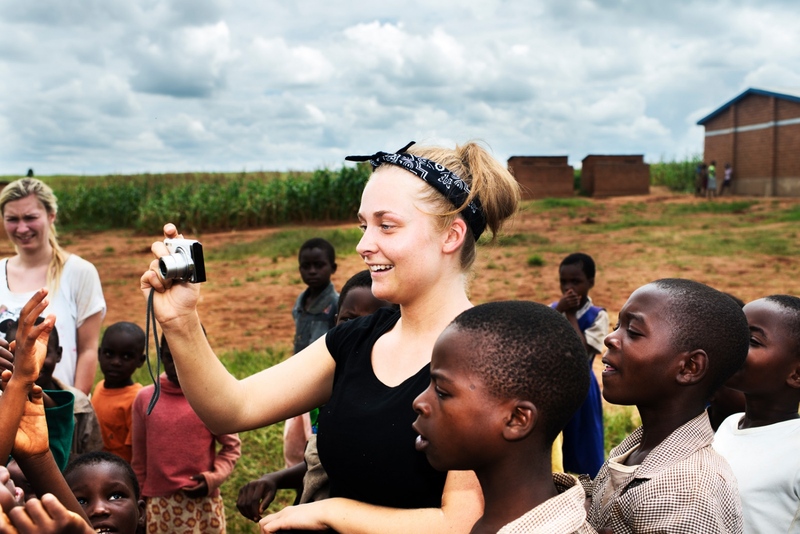 You can follow the project on www.vilhelmstokstad.com and through #voluntourism. Playing with kids after class. The volunteers make the curriculum for the english classes themselves. New volunteers arrive as often as every to weeks. School kids from the village play during a break. A volunteering trip like this, teaching during a gap year, costs around 8000 dollars. Day care center for orphans. 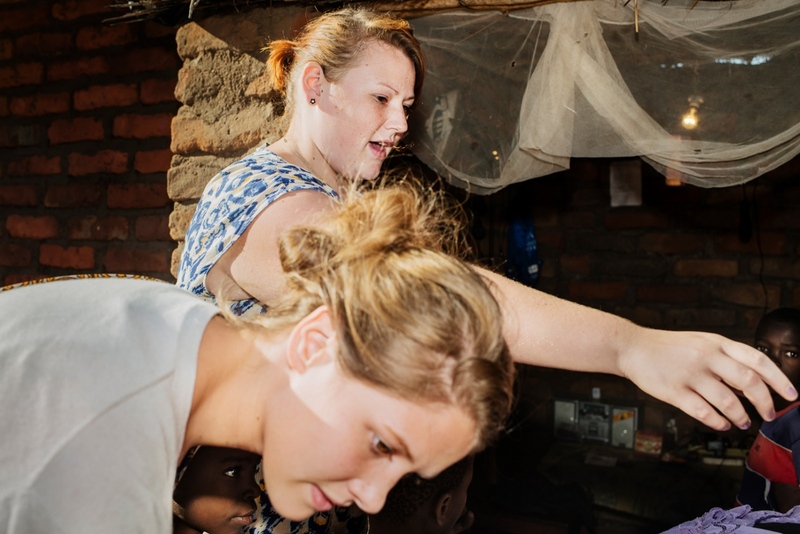 Teaching volunteers are usually young and inexperienced, doing a gap year or just visiting for as short as two weeks. 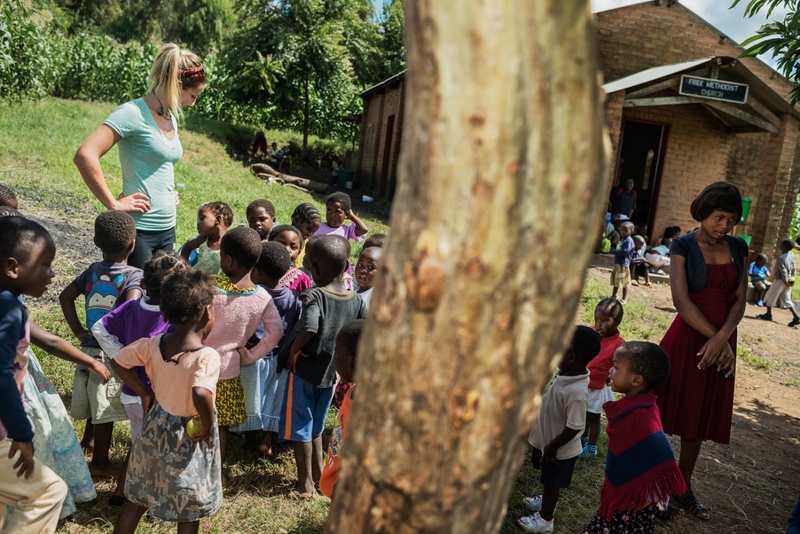 The total amount a volunteer pays to be teaching for a month, including plane tickets and insurances, could cover an educated teachers salary for about four to five years in Malawi. 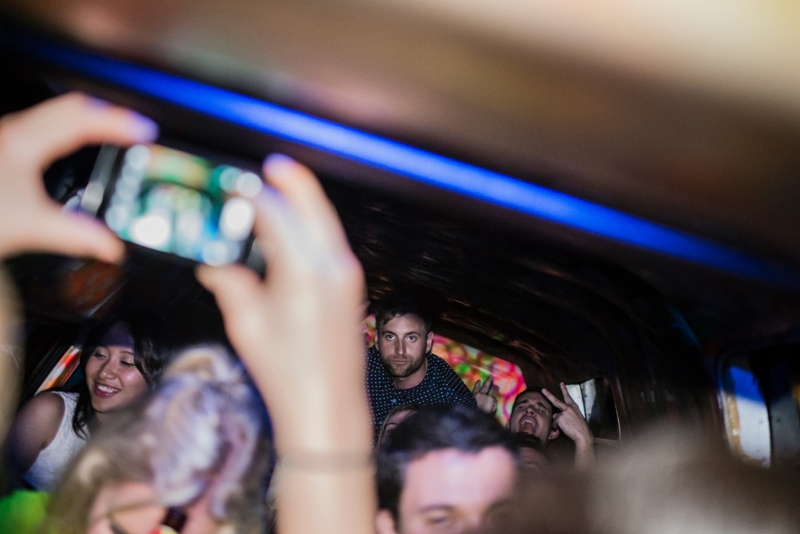 The "Party Dala-Dala" take volunteers on a trip around town on a friday night. Stopping for drinks at different bars along they way. 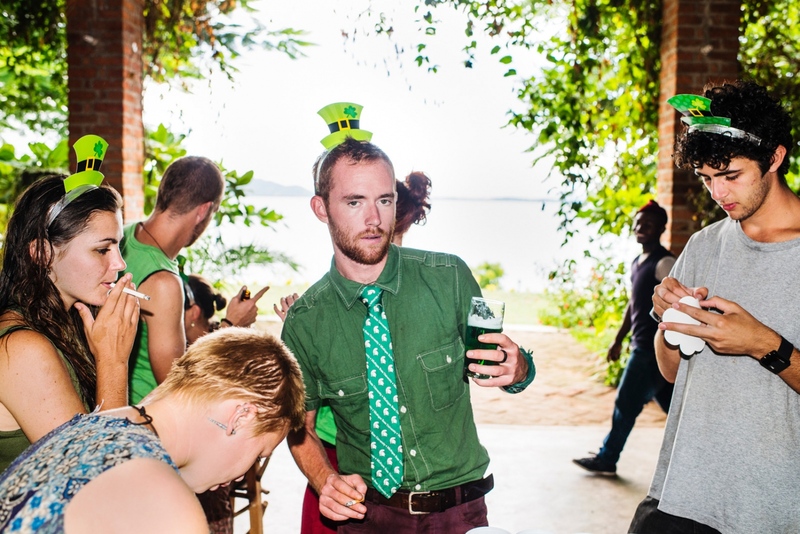 Zanzibar is a mostly muslim community and drinking is frowned upon. There is a local liquor store in Nungwi Beach where you can get a drink before the monthly full moon party. 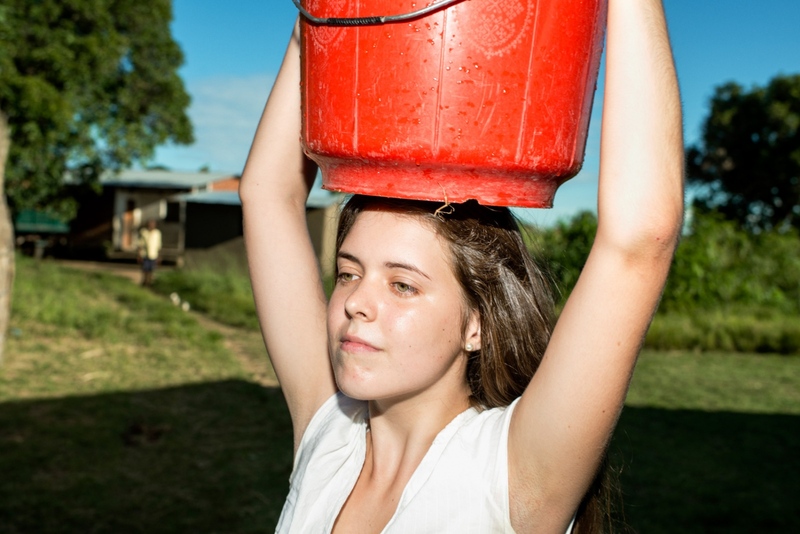 Usually a local girl gets the water for the volunteers. hotel guests stay, after an excursions to the village outside. 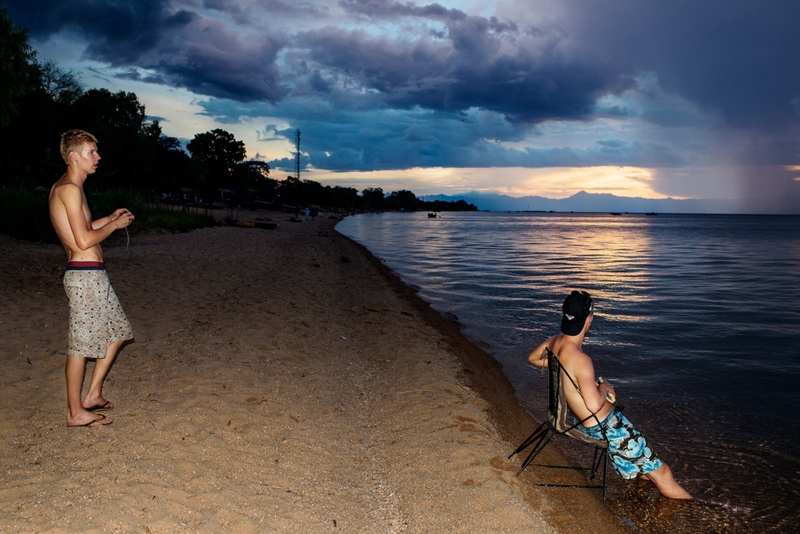 Gated communities offer a bit of luxury in between the weeks. 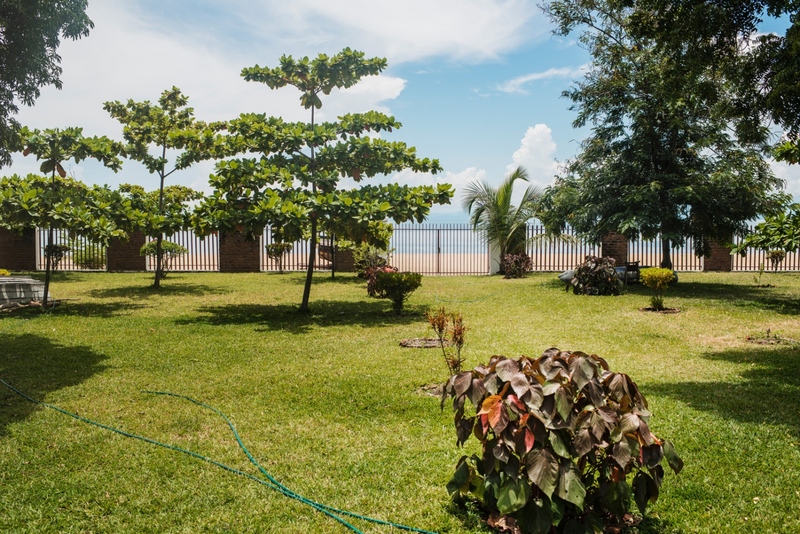 Garden in a volunteer compound including a private stretch of the beach. The volunteers have a private chef that prepares all the meals for them. Drinks and food are all included in the price of 1450 dollars for a 4 week program. 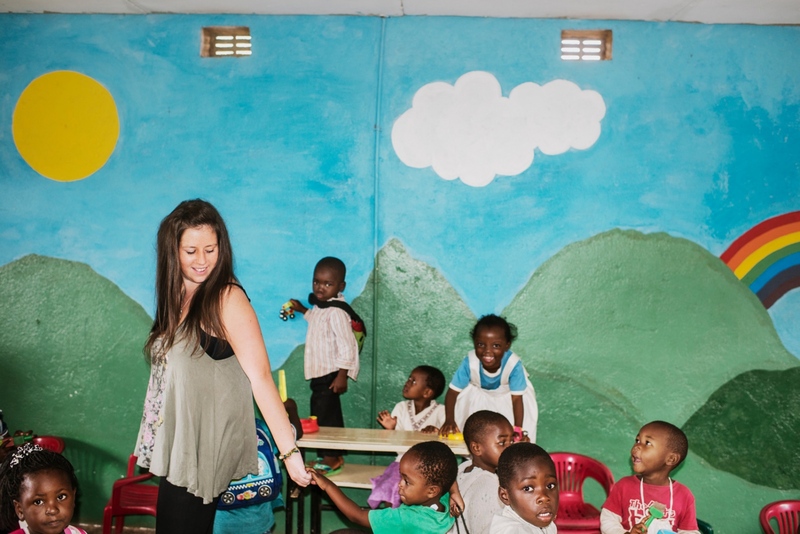 A volunteer is the main attraction at a day care center. Volunteers who come in for just a couple of weeks compete with dedicated, educated teachers for the children's attention. The volunteers make the curriculum for the english classes themselves. New volunteers arrive as often as every to weeks. and cookies makes a buzz among the children. 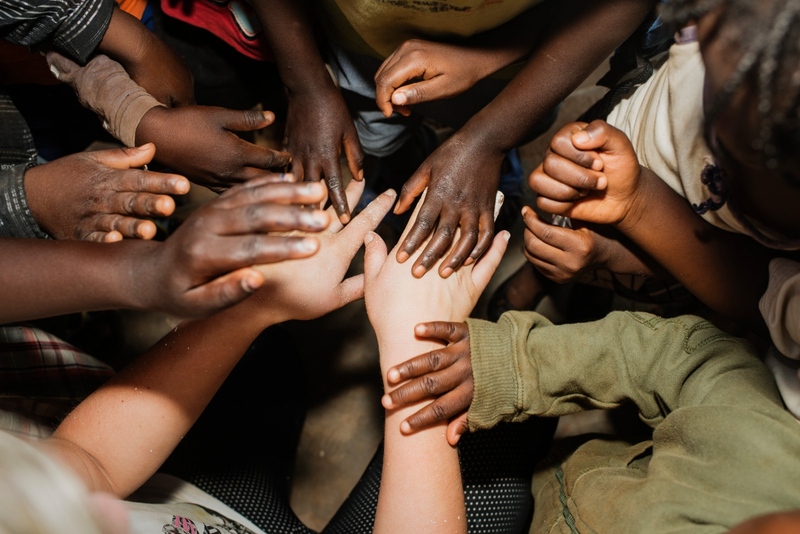 Children are "allowed" to touch the hands of a volunteer. "We and Them" mentality is widespread in the business and could rather increase than decrease gaps between volunteers and locals. 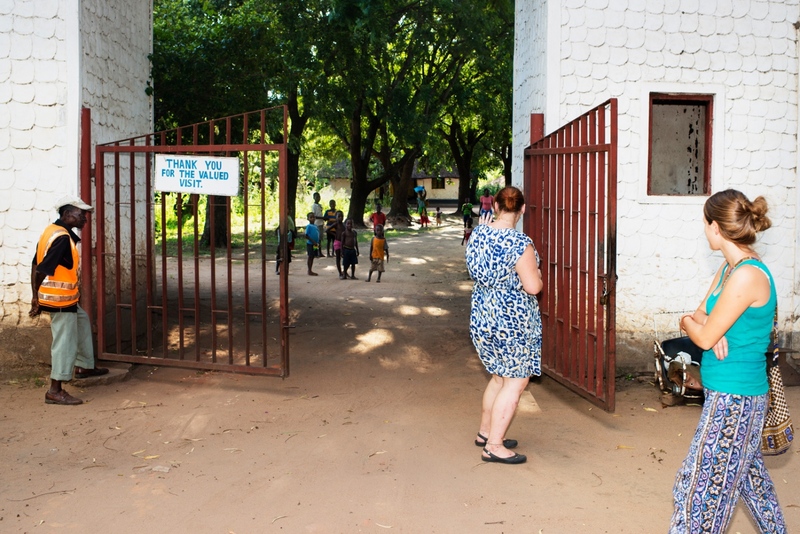 Locals are not allowed inside the volunteer compound, only the maid and guards, from the local community can walk freely inside the compound. Taking pictures of the children you're working with is standard procedure. The school children follow the volunteers back to their compound after class. Volunteer compound right at the beach. The school children follow the volunteers back after class. 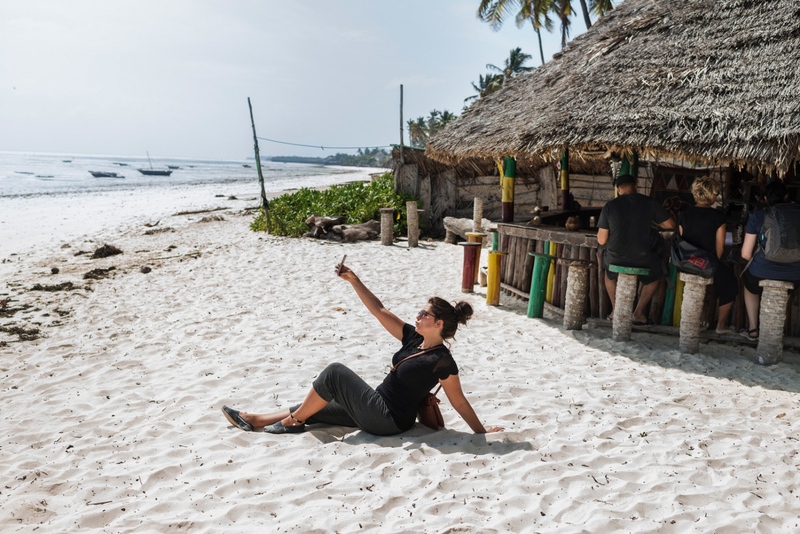 A volunteer poses for a photo next to "the rasta bar" in Zanzibar. A volunteer tries to climb a coconut tree the "local way". 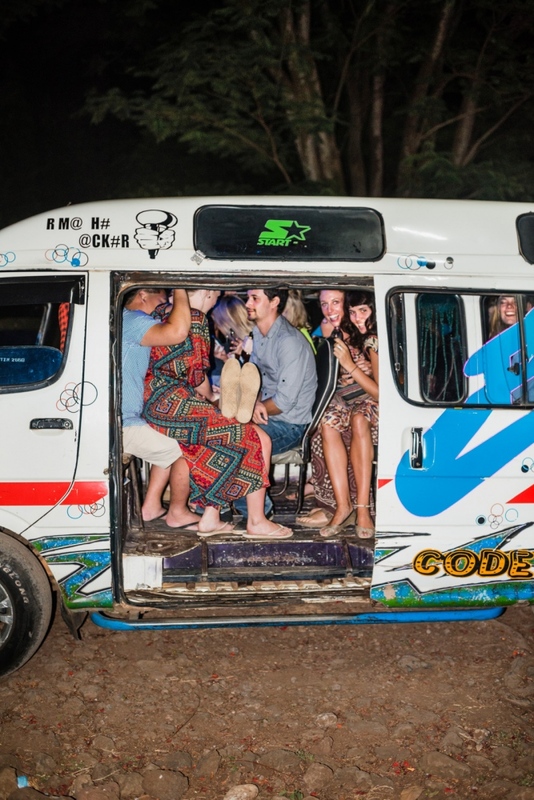 Volunteers staying longer than two weeks often learn to use the local transportation of Dala-Dalas, minibuses often cramped with people. 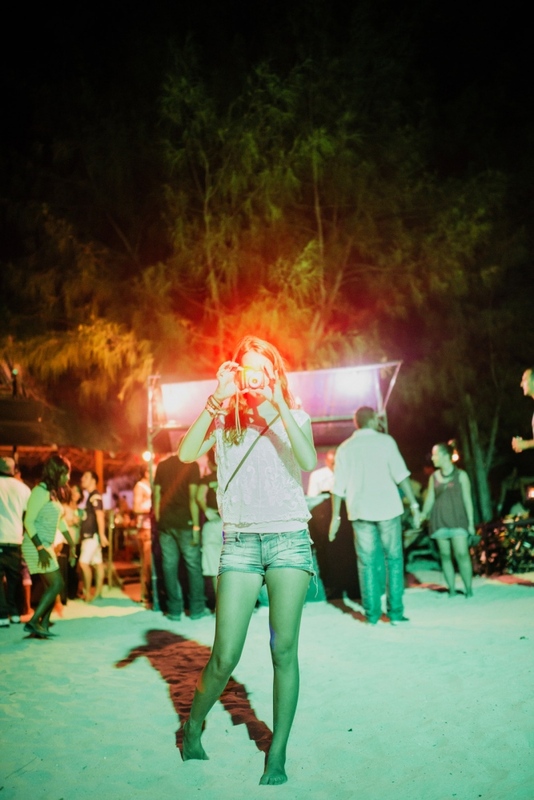 Monthly full moon partys at Kendwa Rocks, Zanzibar, draw hordes of volunteers. 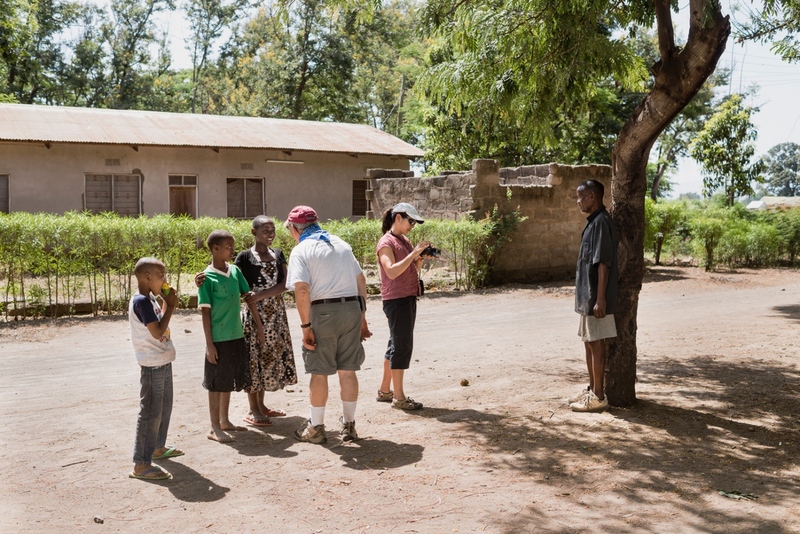 Volunteers on an excursion in the local communities at the foot of Kilimanjaro.